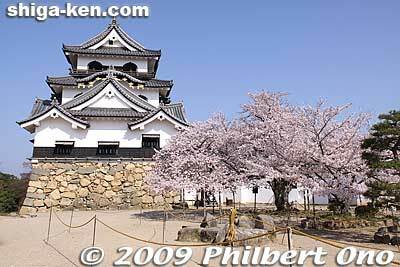 Hikone Castle's main tower is said to be originally the castle tower for Otsu Castle whose lord was Kyogoku Takatsugu. It was moved here in 1606. This main tower is designated as a National Treasure.